No one has ever understood Mitchell Askett. The bad boy. The alcoholic. The loser. 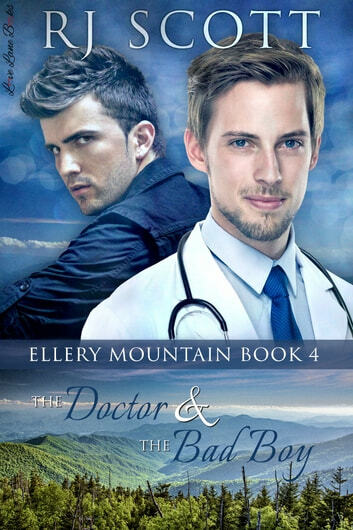 Buying into the Ellery Mountain resort and placing down roots in the community for himself, his sister and his niece puts him on the radar of the Fridays and Doctor Liam Wolfe. He soon realises he has friends in his new home who don’t judge him for what happened before and finally begins to escape his past. When he falls hard and fast for the doctor, he even sees a future for him in Ellery. But when his new happiness is threatened first by family interference then by disaster, he begins to lose faith, until Liam shows him it’s okay to ask for help. This book is sweet, whilst you continue to see the character grow of the gang you get introduced to a new love affair. While how it ended was great it leaves you with so many questions and wondering what happened to certain people, it is a great read. You must read the first three book to get the full Ellery experience.